This Pocketguide to treatment procedures in speech-language pathology has been designed for clinical practitioners and students in communicative disorders. 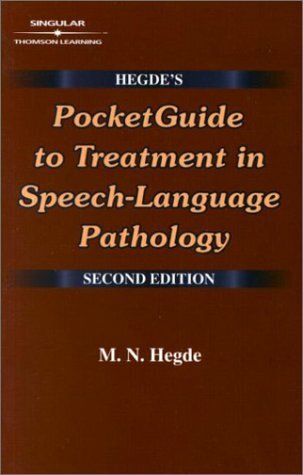 The Pocketguide combines the most desirable features of a specialized dictionary of terms, clinical resource book, and textbooks and manuals of treatment. It is meant to be a quick reference book like a dictionary because the entries are alphabetized; but it offers more than a dictionary because it specifies treatment procedures in a "do this" format. The Pocketguide is like standard textbooks that describe treatment procedures; but it organizes the information in a manner conducive to more ready use. If you have any questions about this product by Brand: Singular, contact us by completing and submitting the form below. If you are looking for a specif part number, please include it with your message.